Good news: in the past 2 weeks, more than 45,000 people engaged with the developing story of a Snohomish PUD proposal that would have undermined solar. Thank you for speaking up: Snohomish PUD has heard us. SnoPUD is taking a step back to listen to solar supporters like you. They have committed to involving the public in a broader conversation on the future of solar, including PUD customers who produce solar power, solar companies that create jobs in the County, and nonprofit advocates who support solar. SnoPUD will be sharing timelines for public meetings soon. 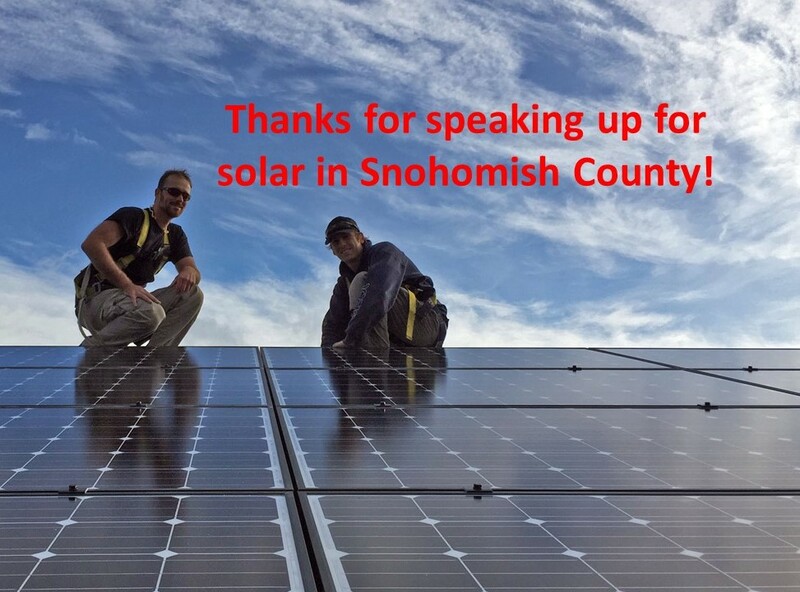 We commend Snohomish PUD for listening and we look forward to working together for a bright future for solar in our community. Can you thank the PUD for listening? Let’s thank them and let them know that we’ll be staying engaged. Send a quick email to SnoPUD’s leadership: commissioners@snopud.com, cwcollar@snopud.com, and BCC info@solarinstallersofwa.org so we can track our impact.